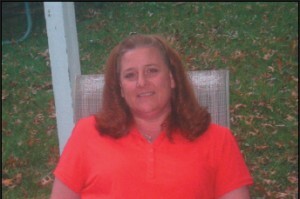 Kerri Wright is today’s featured investigator. 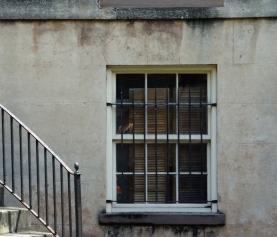 As a member of Georgia Paranormal Investigators, she has had some incredible experiences, and collected a few stunning photos, which you’ll see below. The Windsor Hotel in Americus, Georgia, was already on my list of haunted places I’d like to investigate, but now I want to go there with Kerri. She gets results! Members of GPI on an investigation. 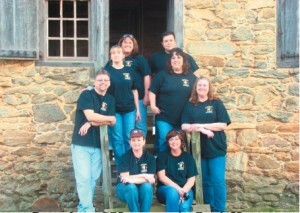 I am one of the Co-Founders and the Case Manager for GPI, Georgia Paranormal Investigators. I also work closely with a local Demonologist on cases, trying to help those in need of Spiritual help. I have always had a life long, deep interest in all things paranormal. I did have an experience as a child, where my deceased grandmother was standing at the foot of my bed looking at me. I would like to know who, what, why, where & how come? Why does this phenomena happen? The Windsor Hotel. The left-hand pic shows the mist by the frame. In the right-hand pic, it's floating across the room. My first “real” investigation was at the Windsor Hotel in Americus, Ga. After being in the hotel room for only a few minutes, we “caught” our first EVP, which at the time, we did not know we had someone speaking to us. When reviewing evidence, came across a male voice that said, “Please, I gotta find a way outta here”. (What a great Class A EVP!) Later that evening, I witnessed what I believe to be an apparition moving across the room, where I suddenly became very emotional, crying & then laughing. 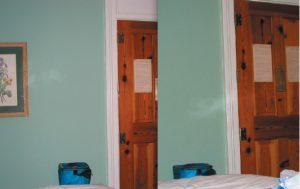 The covers on our bed at night were being tugged on, as well as we photographed many so called “orbs” and a mist that formed from a picture hanging on the wall moving towards the door. 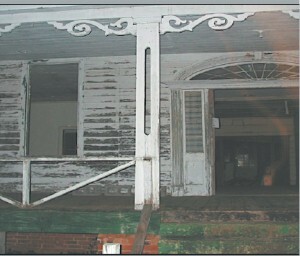 For one of my first investigations, it was an awesome experience and we obtained remarkable evidence of the paranormal. 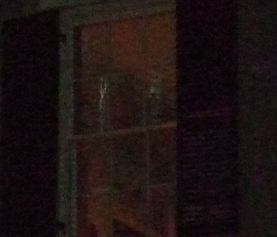 Note the figure in the doorway and the golden streaks radiating from it. This is a plantation home from the 1800s. the entity show us one more sign of it’s presence & our camera was knocked off it’s stand, while all the team members were on the other side of the room. 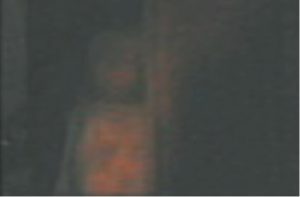 A close-up of the above shows what seems to be a figure of a child. A little girl did die in the home. My dream investigation would probably have to be investigating the famously haunted Waverly Hills Sanitarium in Kentucky, followed by Bobby Mackey’s Music World in Kentucky. There are so many places I would live to go, if money and time allowed! 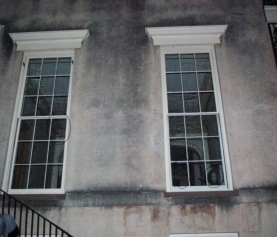 My favorite method of investigating would have to be conducting EVP sessions. You can debunk a lot of “orbs” in pictures and video, however to hear a voice that was not present at the time of the investigation, is so awesome to me and pretty much can stand alone in evidence. I just wish “they” would answer the questions I want to know the answers to! The person(s) I most admire is those paranormal investigators and teams who share paranormal unity. We are all in this field of research for pretty much the same reasons, to find out if there is life after death and why. I believe that paranormal investigators should share information, venues, research methods, equipment possibilities and evidence. My first suggestions in to be strong in your faith, whatever that might be. We never know what we are talking to & what is talking back! I truly believe there are demonic forces out there as well as intelligent and residual energies. Read, study, read, study & then read some more about all things to do with your field of study. Knowledge is power. Never enter places that are restricted and are clearly marked as no trespassing, as this makes all paranormal investigative teams look bad. Do a lot of research and understand what you are reading so you can apply it in the field. Be an investigator, looking for all probable causes of any activity, whether it be man made, nature, or paranormal. Be open-minded, very patient, be supportive of others, other than that, get some minor equipment to start off with & go have fun! 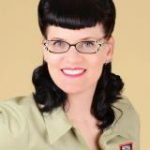 I work full time as the Business Manager of a local newspaper, have a fantastic family that supports me in my quest for paranormal knowledge & evidence. In fact, that is where I met my “better half”, as we both investigate the paranormal as well as help out spiritually with a local Demonologist. I am being haunted and have been for the past month or so. We live in savanna ga, I have contacted local teams here but they don’t offer us a way to actually rid it, they suggest sage but that did nothing. I can’t tell you how many things this has done to me, it follows me, it causes physical harm, and it drains my energy, I don’t think it’s a ghost I believe it’s something much more sinister. I need someone who can actually rid it. this thing has me terrified, I’ve never felt fear this intense. If you cannot help, possibly you can recommend someone… clergy member or demonologist. Hi, Michelle. I’m so sorry to hear you’re having issues with a violent haunting. One priest I talked to is a big proponent of St. Michael, who is called on to fight off evil and demons. You can wear a St. Michael medallion and recite the prayer of St. Michael. You can read some more here: http://www.how-to-pray-the-rosary-everyday.com/saint-michael-prayer.html I’m going to pass your message on to a paranormal group I’ve worked with before, and they may be able to recommend someone to you. Was workinhlg with a medium slash healer and he send me something negative. Its invading my body daily. I was told to search for a demonologist. Im in georgia. Can u help? Unfortunately, I don’t know any demonologists still working here in Georgia. 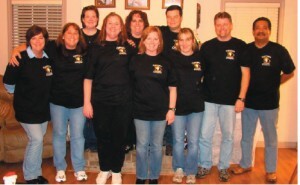 You can try searching online for a paranormal investigation group in your area – they might have some resources to help you. Best wishes, and I hope you find someone to help soon.